INretail will engage a cooperation with logistic development organisation Greenway Logistics for the concept ‘INretail Logistiek’. INretail is the largest branch organisation for retail non-food in The Netherlands. The concept of Greenway Logistics is that it organises the logistic benefits, bundling and innovations for groups and individual companies in the Fashion, Sport and Lifestyle branches. Greenway Logistics started this concept in The Netherlands in 2008 and is currently working for a number of similar organisations in four countries; The Netherlands, Belgium, Sweden and Denmark. Apart from advising and supporting members on all logistic issues, Greenway Logistics has developed a number of innovations which will benefit the members of INretail. Greenway Logistics is also involved in multiple projects in the field of sustainability in transport and logistics. Areas where Greenway Logistics is already successful are for example bundling at source warehouses (mainly China), e-commerce, sample shipments and outsourcing of warehouse operations. Both Greenway Logistics and INretail are excited to roll out this concept in the Retail landscape in the coming period. 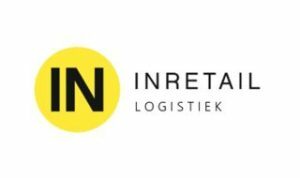 ‘INretail Logistiek’ will official start in January 2019.